also found a pretty good deal for 25 yards of 4 oz cloth from Fiberglasssite.com. ($100.00) I only used 4 yards so I have plenty left for my next boat project. 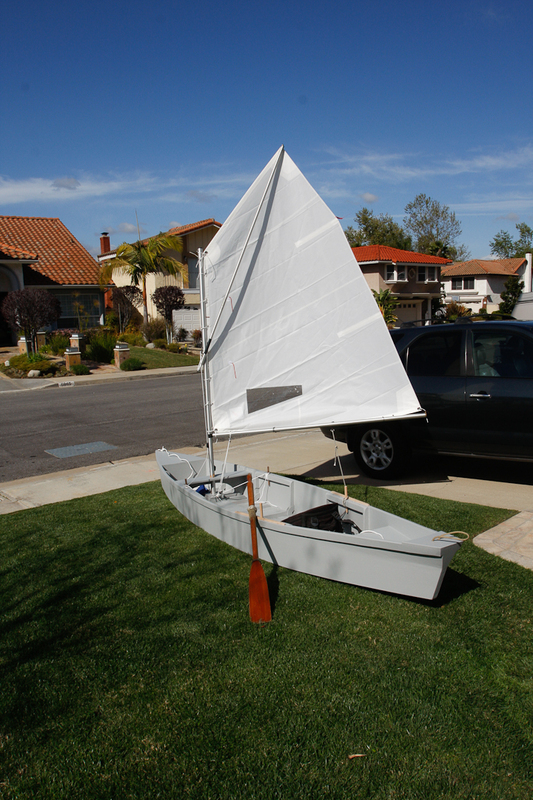 I purchased my wood from Home Depot (3 sheets of 5.2 mm SandePly, 1 sheet of MDO for building frames, 6 8 ft 2×4′s for jig, and cedar fencing that I ripped for finished bulkhead framing and gunwales. All told I think I spent less then $150 for wood that I needed. I found enough left over Oak and Douglas Fir for the misc pieces requiring strength. I also had a few feet of odd sized 10mm marine ply that I used for framing the floatation compartments, and mast thwart. 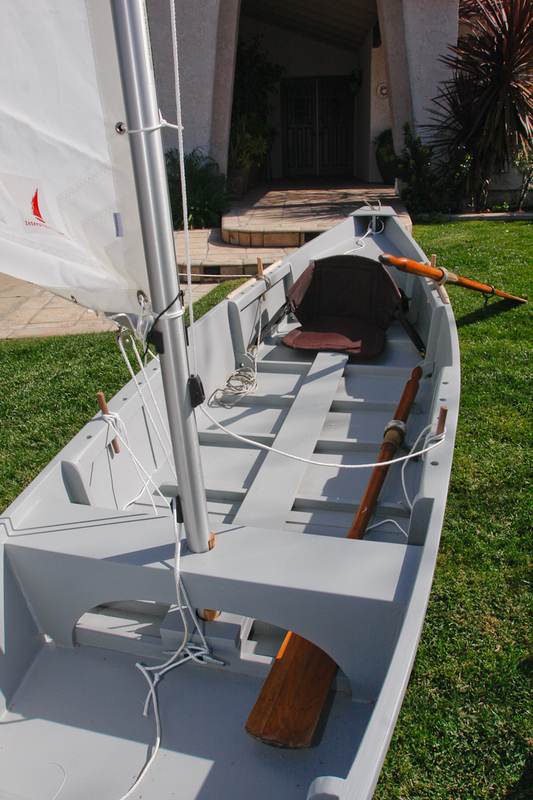 I used left over oak for the mast step, bow stem, and gunwale rubbing strakes, and douglas fir for the row chocks. I also needed a new gallon of West System Epoxy ($150), using about 3/4 of a gallon on the punt. A gallon and gray porch paint from Home Depot ($25.oo), using half a gallon. have you started yours yet Paul?